HITS is more than just an acronym for the world’s largest and most comprehensive police K-9 training conference, it represents real world training concepts for modern law enforcement K-9 teams. Join us outside the classroom for hands on training that means something when you hit the streets at night. Invite us to your training day and let’s get to work! officers. This 24 hour training course is designed specifically for patrol dog handlers interested in learning more about how to train with the power collar or how to advance their basic skills and understanding that they already have of the power collar. Non-K9 Handler/Officers are encouraged to attend this class as decoys. If you wish to attend as a decoy, the cost of the class is only $295. and you’ll receive a certificate from HITS Training and Consulting for the hours. You will have the opportunity to experience and develop decoy skills through hands-on training. Our instructors will cover the basics of K-9 communication between the decoy and the police dog. With decoy safety being at the forefront of this training, our instructors will emphasize time and time again the proper procedures to follow when conducting training scenarios and the value of clear communications between the decoy, the dog and the K-9 handler. We will cover topics that include targeting techniques, body suit bites, confidence building, calming, decoy approaches and posturing. We’ll also cover muzzle fighting, stressful environments and transitions from training to real world apprehensions. Bring your dog to the next level by bringing your decoy skills there first. HITS Training & Consulting is hosting an intensive two day training course for ALL Law Enforcement officers. This 16 hour training course is designed specifically for patrol dog handlers interested in learning advanced tactics, better K-9 control and operating on a higher level through problem solving and scenario based training. Don’t fail in the real world. Scenario based training and stress inoculation is critical to survival. Our instructors have the experience and skills to cover every aspect of K-9 handling. With 31 years of police K-9 experience, Jeff has tracked down every type of violent fugitive imaginable. By far the most dangerous conditions we’re faced with today is deploying a police dog to track in a rural/woodland environment. This class examines the murders of Deputy Sheriff Matt Williams and K-9 DiOGi in intricate detail and how their deaths have initiated a national movement toward advanced tactical training for K-9 tracking and woodland operations. Jeff has delivered this training to well over two thousand police officers and counting. We cannot afford to sacrifice our tactical edge when the stakes are this high! These practical training drills and training scenarios are applicable to every member of your agency. The training you provide others about being your cover officer during a tracking deployment may very well be the training that saves your life or makes a positive difference in securing a safe outcome. With 25 years of police K-9 experience, Jeff has tracked down every type of violent fugitive imaginable. By far the most dangerous conditions we’re faced with today is deploying a police dog to track in a rural/woodland environment. This class examines the murders of Deputy Sheriff Matt Williams and K-9 DiOGi in intricate detail and how their deaths have initiated a national movement toward advanced tactical training for K-9 tracking and woodland operations. Jeff has delivered this training to well over two thousand police officers and counting. We cannot afford to sacrifice our tactical edge when the stakes are this high! These practical training drills and training scenarios are applicable to every member of your agency. The training you provide others about being your cover officer during a tracking deployment may very well be the training that saves your life or makes a positive difference in securing a safe outcome. Det. Weiman graduated from the Broward county police Academy in 1988 and received the academic award. Det. Weiman worked road patrol until July 1990, when he was assigned to the Pompano Beach VIN unit conducting undercover narcotics investigations. He later was assigned to the Broward Sheriff’s Office Domestic Interdiction Unit (SID) from 1994-1999. In 1999 the Pompano Beach Police Department merged with the Broward Sheriff’s Office and Det. Weiman has worked in a street level narcotics unit utilizing a drug detection and Firearms Detection canine from 1999 to 2013. Det. Weiman is currently assigned to the Broward County Narcotics Interdiction Task Force. Sergeant Aaron Peterman began his career at the Polk County Sheriff’s Office (FL) in 1997 where he spent nearly four years primarily in the Tactical Drug and Narcotics Units. In 2000 Aaron was employed by the Lakeland Police Department where he was later assigned to SWAT while in the Street Crimes and Narcotics Units. While on SWAT Aaron was an entry team member as well as a Rappel Master, and competed at the SWAT Round-Up International Competition in Orange County, Florida numerous times. In 2006 Aaron was assigned to the K-9 Unit where he handled three dual certified patrol/narcotics K-9’s until being promoted out in 2014 and reassigned to SWAT as an entry team member. Aaron is the supervisor in charge of the K-9 Unit and is one of the certified trainers. Aaron is a Florida Department of Law Enforcement certified K-9 Trainer, General Instructor, Driving Instructor, and Firearms Trainer/Instructor. Aaron has instructed for HITS Training and Consulting and the Florida SWAT Association (FSA) as well being an Adjunct Instructor for Polk State College and IPTM at the University of North Florida. Aaron is the current United States Police Canine Association (USPCA) Region 1 President. Are you or your agency facing a civil suit stemming from a K-9 apprehension? Are you in need of an expert’s objective opinion in the case? We can help! With years of experience, our consultants are able to find positive or extenuating elements of an incident that others might otherwise overlook as irrelevant or insignificant in your defense. Has your K-9 unit been unfairly or excessively subjected to public or internal criticism as being ineffective, overly aggressive or mismanaged? Our experts can provide your agency with the independent review and analytical evaluation which can bring the effectiveness of your K-9 unit back into favor as a highly productive support element for those they serve. Contact us today and let us review the issues with you. We have the answers that make a real difference. Hosting a HITS hands on training class in your area might be simpler than you think. There’s no contractual or financial commitments to sign and as a bonus, you receive 2 free slots in the class. Take a look at the many specialized courses we offer, choose one that interests you the most and then contact me at Jeff.Barrett@HITSK9.net I’ll work with you on setting the dates of the class and we do all the advertising and registration work. You spread the word in your area and we’ll see you there. It’s just that easy. Are you in need of an expert’s objective opinion in the case? We can help! With years of experience, our consultants are able to find positive or extenuating elements of an incident that others might otherwise overlook as irrelevant or insignificant in your defense. 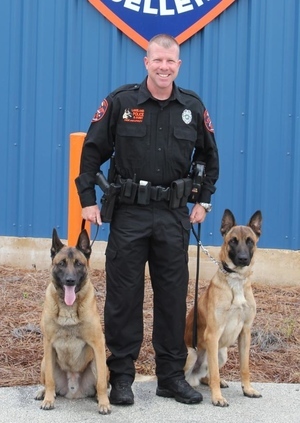 Jeff is a current K-9 Handler and Trainer in Lakeland Florida, with over 26 years working and training police dogs. He holds a Bachelor’s degree in Criminology and is actively involved in civil litigation cases as an expert witness involving law enforcement K-9 use of force. Jeff teaches several advanced and specialized tactical K-9 training courses across the country and focuses much attention to high risk tracking tactics. 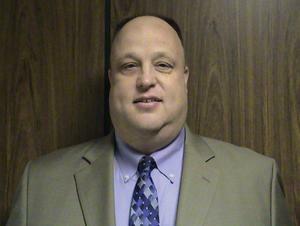 Jeff Meyer has been a police officer since 1989. 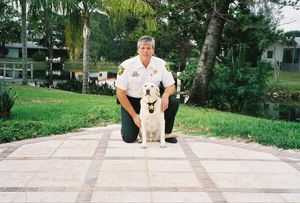 Jeff spent nearly 18 years as a dog handler and trainer for his department. Jeff handled three different dogs during his time as a handler, two single purpose patrol dogs and one dual purpose patrol/narcotics dog. Jeff is and adjunct instructor for the state of Utah Police Service Dog program and teaches regularly in classes and seminars throughout the United States. Jeff also serves as an expert witness in civil litigation involving Police Service dogs. Jeff is also the founder of Police K-9 Magazine. Jeff published the magazine from the original issue in 2005 until he sold it in 2014. Currently Jeff is assigned to a special projects unit that conducts research and policy reviews. 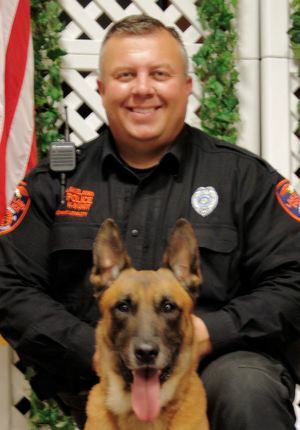 Officer Aaron Peterman began his career at the Polk County Sheriff’s Office (FL) in 1997 where he spent nearly four years primarily in the Tactical Drug and Narcotics Units. In 2000 Aaron was employed by the Lakeland Police Department where he was later assigned to SWAT while in the Street Crimes and Narcotics Units. While on SWAT Aaron was an entry team member as well as a Rappel Master, and competed at the SWAT Round-Up International Competition in Orange County, Florida numerous times. 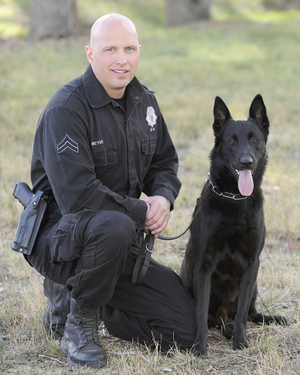 In 2006 Aaron was assigned to the K-9 Unit and is currently assigned to Patrol as Sergeant. Aaron remains as one of the unit’s trainers and a Florida Department of Law Enforcement certified K-9, General, Driving, and Firearms Trainer/Instructor. Aaron has instructed for HITS K-9 Training & Consulting, SKIDDS, and the Florida SWAT Association (FSA). Aaron is the current United States Police Canine Association (USPCA) Region 1 President. We get more rave reviews about this class than anything on the market today. We’re going to show you training techniques that bring your performance to a higher level. This 24 hour course is designed specifically to address issues and concerns that arise during the deployment of detector dogs. We do more than just play “Hide and Seek”. We want you to understand the importance of goal oriented training. Goal oriented training gives purpose and meaning to every exercise you perform with your dog. Not only do you achieve results and advance your skill level in real world searches, but you set the foundation for proving your dog’s reliability. Go beyond drug odor recognition. Training a dog to find drug odors is easy, training a police dog to ignore everything else is where we come in. This 24 hour course is designed specifically for patrol dog handlers interested in learning more about how to train with the power collar or how to advance their basic skills and understanding that they already have of the power collar. HITS TAC instructors will train you how to use the power collar to bring more control, focus and mental clarity to your high drive patrol dog during aggression work. Many Patrol dog handlers who use the power collar are hesitant about expanding its use into other aspects of their K9 training. Apart from aggression control or to curtail various displays of unwanted behavior, most handlers avoid the power collar. Our instructors use motivation and compulsion to achieve faster and more reliable training results and their methods are explained and practiced by each K9 team attending the seminar. Let us end the confusion about the effectiveness of using a power collar. Learn the dynamics of the power collar and how it will advance your tactical deployment capabilities through control and K9 responsiveness. This training course is specifically designed to educate all law enforcement officers in the use of better tactics and K-9 apprehension skills. Cover officers and SWAT teams deploying with a K-9 must have a well-organized and tactical approach to apprehending fugitives in a rural environment. Every cover officer needs to understand the capabilities and limitations of the K-9. Every cover officer must understand their specific duties and responsibilities during a high risk deployment. Our skill building exercises and tactical deployment scenarios can be used by agencies during their in-service training so that all officers have the opportunity to improve their abilities to serve as backup in rapid deployment situations. K-9 handlers will learn and take home value tools and techniques that might one day save lives and making apprehensions safer for all. I’ll work with you on setting the dates of the class and we do all the advertising and registration work. You spread the word in your area and we’ll see you there. It’s just that easy.